The presence of a church in Gries was documented in 1531 even if it was mentioned before. A church was built in 1634 nearby the "am Gries" Inn, which was enlarged in 1676; only in 1793 had its own curate. 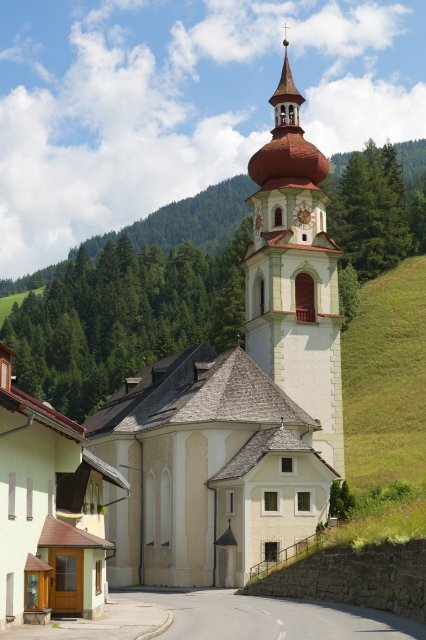 In 1823 began the construction of a new church, completed in 1828, in the typical baroque style, that in Tyrol, had been widely used by Franz de Paula Penz.